Eight years ago when I started Fat Toad Farm with my family, I wasn’t sure how long I would be able to afford to stay in farming or how long I would want to live in Central Vermont. At that time, there weren’t many younger people involved in agriculture in the area. In fact, there weren’t many young people in the area at all! However, over the past eight years, a lot has changed in my local community, in the agricultural community in Vermont – and on our farm. A lot of that change has been encouraged and supported by the Working Lands Enterprise Fund whose mission it is to strengthen and grow the economies, cultures, and communities of Vermont’s working landscape. 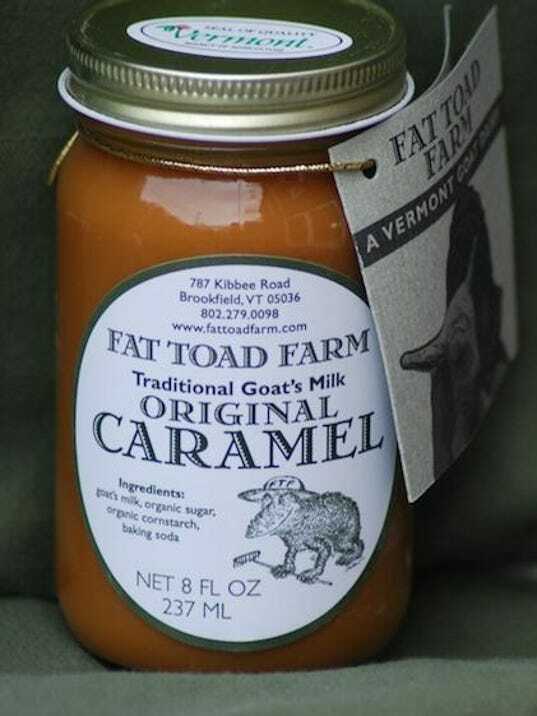 For Fat Toad Farm, the fund stepped in at a critical phase of our growth when we needed to significantly upgrade our caramel production facility. Our farm had grown from two goats to eighty goats and the demand for our goat’s milk caramel sauces was steadily increasing. It was time for us to focus all our efforts on our caramel production, as we phased out other projects such as making cheese, raising pigs, raising veal calves and the other “side” projects that come along with farming. The investment for this upgrade was challenging for us at the stage of business we were in so we applied to the Working Lands Enterprise Fund to help us move forward. With the grant, and the 50 percent match it required, we purchased the equipment we needed to create our traditional but state-of-the-art production system, a set up that is still working for us today and will be good for us for at least another 2-3 years. This grant helped us to grow our business, keep using and improving the land around us for our pastures, and increase our staff, all of whom, interestingly, are under 35. Our caramel has recently won a sofi Award for Outstanding Product Line award from the National Specialty Food Association and a 2016 Good Food Award, which helps us considerably as we move into the next stage of growth at Fat Toad Farm. The best reward, however, is knowing that I can stay here on the farm with a challenging but rewarding job of overseeing our caramel production and the growth of our business. And, as important, there is an ever-growing group of young people that are committed to the area, many of whom are part of local agriculture and forestry businesses. They plan on staying here, putting roots down and getting involved with the community. These rewards are immeasurable. Although the Working Lands Enterprise Fund makes relative small investments in businesses across the state, those investments are a big deal to the businesses that receive the grants, and they reap big rewards for the businesses and the communities around them. I hope our policymakers will recognize this value and will invest $1 million for fiscal year 2017 in the Working Lands Enterprise Fund. Calley Hastings is co-owner of Fat Toad Farm in Brookfield.